Sugarplum Garters: Photo of the Day | Cake! I love to visit Cotton and Crumbs' site and drool over all of their delicious-looking cakes. Isn't this one gorgeous?!? 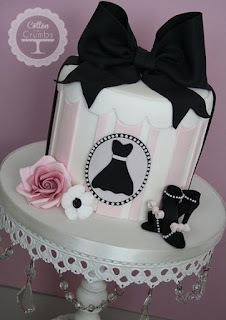 It would make the perfect cake for a bridal shower or bachelorette party!